We love aden + anais in this house. A lot. 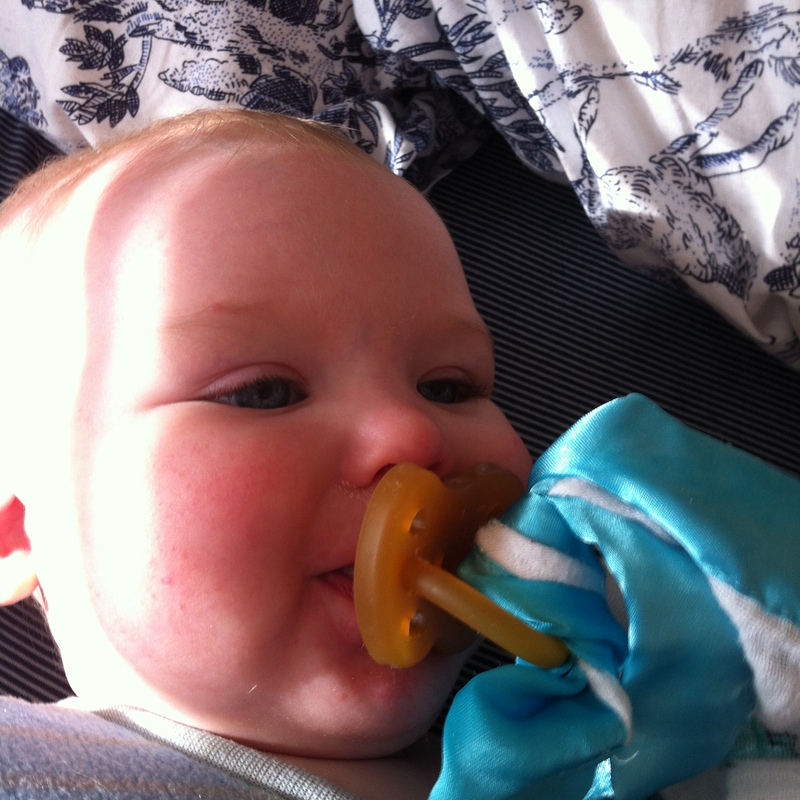 They’re perfect for so many different things, not just swaddling. Monster has some a+a Issies that he adores. He likes to rub one against his face as he falls asleep. 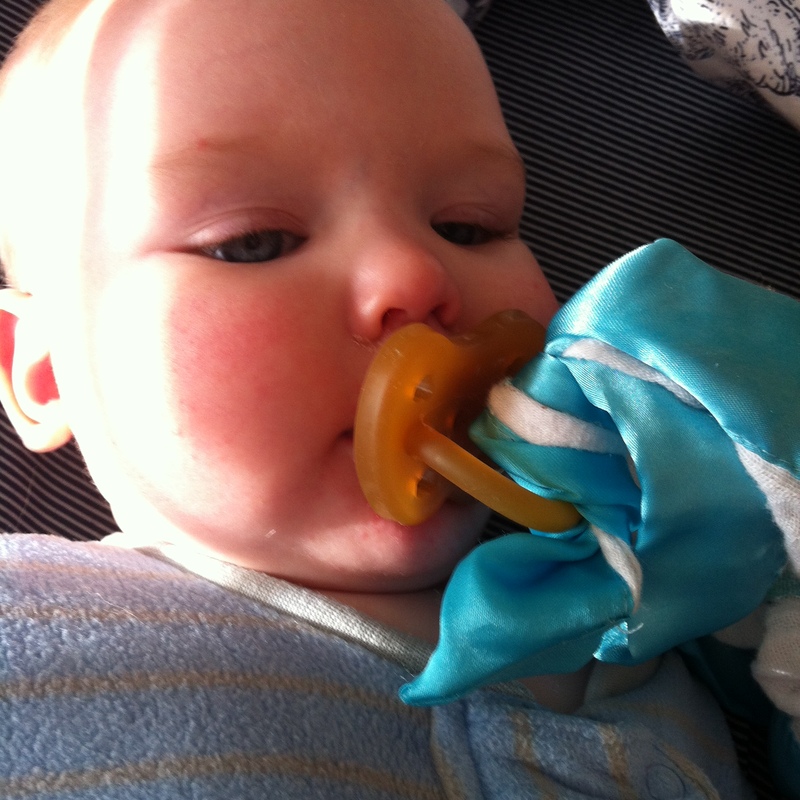 So one day I decided to try tying one end of his Issie onto his pacifier. He loved it! It’s now our go-to, easy to wash, lovey! I just thought I would share! Remember that all medical professionals suggest no blankets in with baby when sleeping. Please do not take this post as medical advice, I am not a doctor! 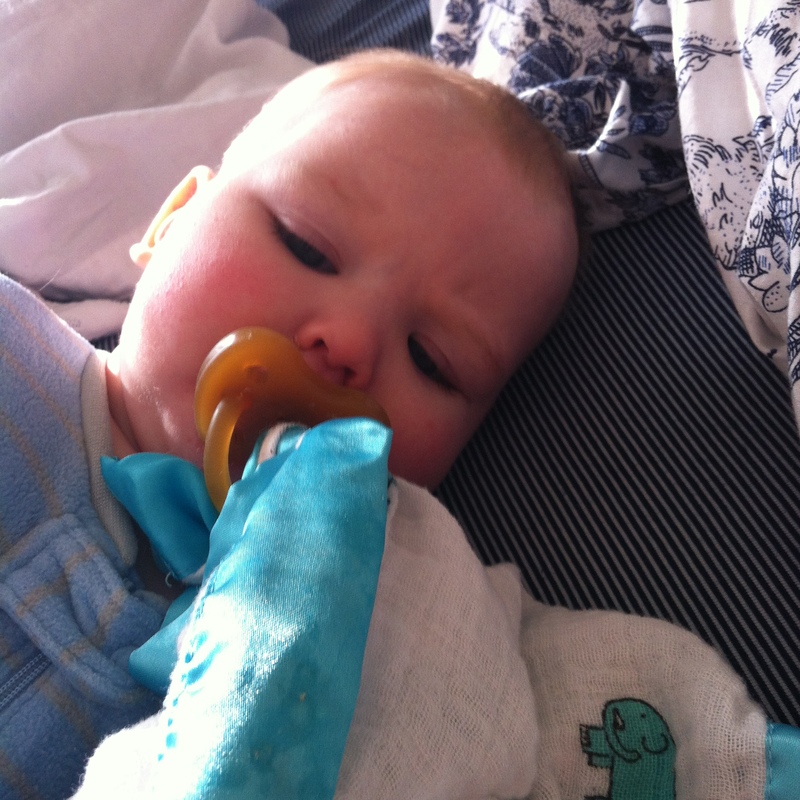 Please click here for safe sleeping tips for your little one.